Endodontists are dentists who specialize in maintaining teeth through endodontic therapy procedures involving the soft inner tissue of the teeth, called the pulp. The word "endodontic" comes from the Greek "endo" meaning inside and "dont" meaning tooth. 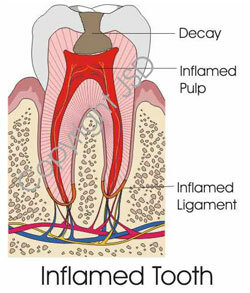 Endodontists treat the inside of the tooth. In addition to dental school, endodontists receive two or more years of advanced education in root canal treatment and related studies. They study root canal techniques and procedures in greater depth in order to treat more difficult cases. For this reason, many dentists choose to refer their patients to endodontists. Teeth have two main parts: the crown (the part you can see) and the roots (the part that is under the gums). Inside the root of each tooth is a hollow space filled with pulp. The pulp contains blood vessels, nerves, and connective tissue that are responsible for forming the surrounding dentin and enamel during tooth development. 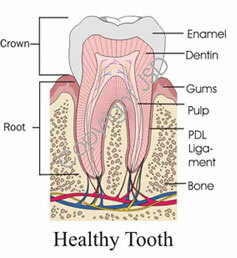 Although the pulp is important during development of the tooth, it is not necessary after the tooth has developed. 1. Local anesthetic is administered to ensure that the tooth is completely numb. A protective sheet called a dental dam is then placed over the area to isolate the tooth and keep excess water out of the mouth. 2. An opening is made in the crown of the tooth and the canals are found with the aid of the operating microscope. Instruments called files are used to clean the pulp from the pulp chamber and canals. 3. After the canals are cleaned and shaped, the canals are filled with a biocompatible material called gutta-percha, along with an antibacterial sealer. 4. The procedure is finished by placing either a temporary or permanent filling to seal the opening. You may then need to return to your dentist within a few weeks to have a crown or other restoration placed on the tooth to protect it and restore it to full function. Will I feel pain during or after the treatment? With the latest technologies and anesthetics, root canal treatment today is no more uncomfortable than having a filling placed. In fact, a recent survey showed that patients who have experienced root canal treatment are six times more likely to describe it as "painless" than patients who have not had root canal treatment. For the first few days after treatment, there may be some tenderness to biting or pressure, especially if there was pain or infection before the procedure. To prevent possible discomfort, over-the-counter anti-inflammatory medications such as ibuprofen are recommended. 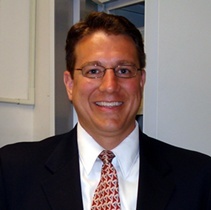 Dr. LeCheminant can prescribe other medications, but they are rarely required. Can I be sedated during the procedure? Yes, but it's not necessary. If you have had bad experiences with dental appointments in the past, you probably feel a lot of anxiety and nervousness when you think about having a root canal done. Dr. LeCheminant is well-trained in providing nitrous oxide and oral conscious sedation, and he can explain these options to you. Will my dentist need to restore the tooth? It is extremely important that a final restoration be placed on the tooth following endodontic treatment. If this is not done in a timely manner, bacteria will reinfect the root canal and the treatment will need to be redone. Teeth that have had root canal treatment are prone to fracture until a final restoration is placed. After endodontic treatment is completed, either Dr. LeCheminant or your general dentist will place a permanent filling (core build-up). Most of these teeth will then require a crown to strengthen and protect the tooth, which will be done by your dentist. If the tooth already has a crown, an opening will be made through the crown which can then be repaired with a permanent filling. Will I need to return for a follow-up visit? We recommend that patients return to the office one year after the procedure is finished for a courtesy follow-up exam to evaluate the healing of the tooth. On rare occasions, a tooth may not heal properly and may require additional treatment.